This post was created in Partnership with The Toy Association. All Products were provided through them. No Monetary Compensation was provided. Vtech is known for its fun technology designed with little techs in mind. 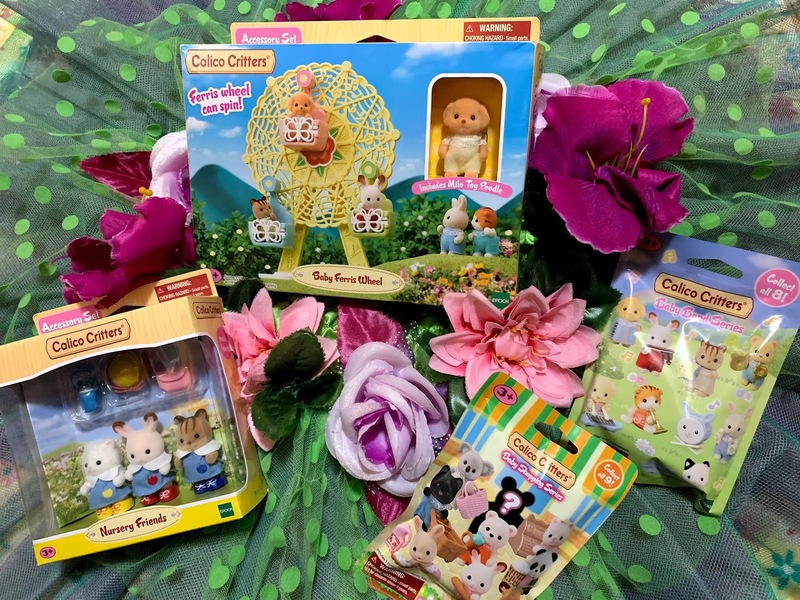 This Year, two of their products have made it into the TOTY Toy Of The Year Awards Nominees list in the Infant / Toddler Category. 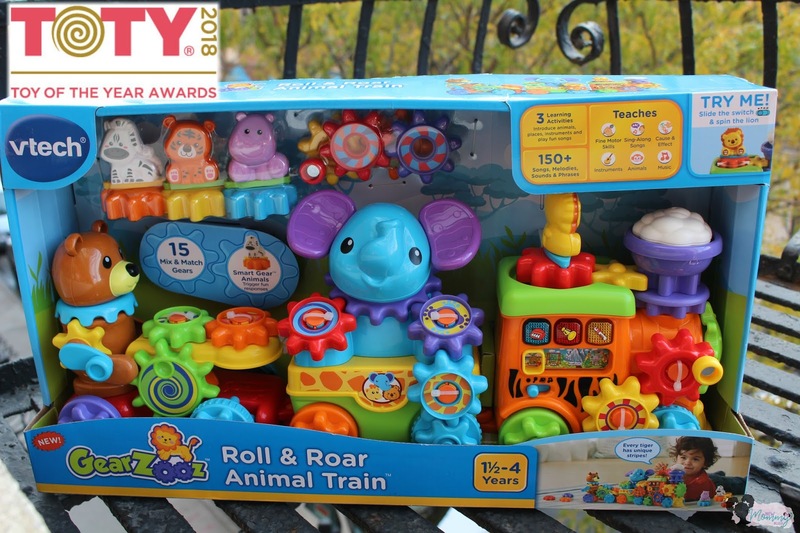 One of the toys being the adorable GearZooz™ Roll & Roar Animal Train designed for ages 1.5 - 4 years old! The Roll & Roar Animal Train has 3 learning activities such as Animal Introduction, Places, Instruments and fun songs. With over 150 Songs, melodies, sounds, and phrases, I can see endless hours of fun in our future. The Bright colors of the animals will keep all the children entertained. I love that the gears can be switched and that it comes with 4 Smart animals! These specific animals have smart sense in the opening that allows interaction when added the smart pole at the top of the train. Adding the Smart Gear™ animal to the train engine brings on a silly song with Animal Sound effects! Your child will learn fun facts about the animals like what the hair on a Lion's Head is called and how all tiger stripes are different. Pull the train behind you and all the connected gears move. If you want to challenge your child a bit, set the train to quiz mode where they have to answer questions by pressing a button or moving the slider to the correct answer. Parents rejoice because of the great Volume control for quieter play. This feature works very well when the toddler wants to play, but the baby is still asleep. It's also cool that you can mix and match the Smart Gear™ animals with other GearZooz™ Playsets! 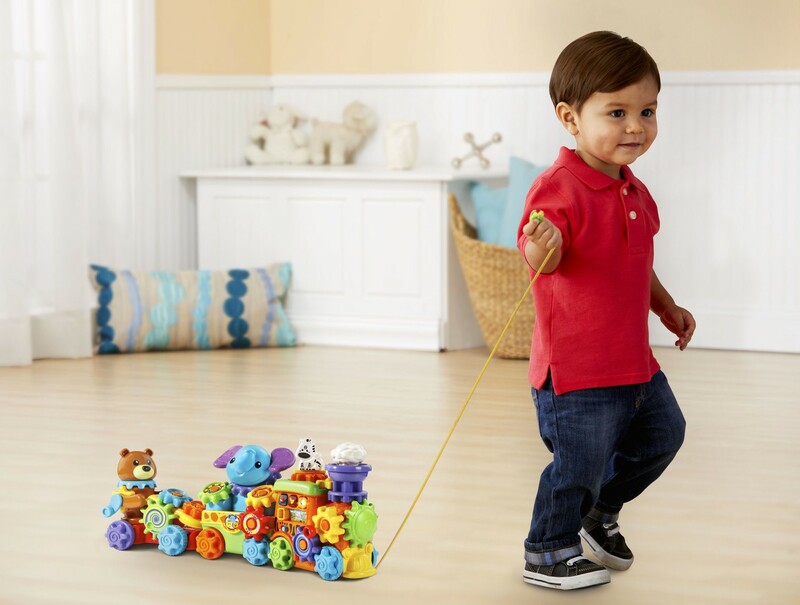 The GearZooz™ Roll & Roar Animal Train will teach your child Fine Motor skills, sing-along songs, and Cause & Effect as well as all that I mentioned a few paragraphs back. For those that won't be at Toy Fair, Be on the lookout for the voting Link on our Facebook Page! Kinder Joy ™ Is Finally In The US... REJOICE! Schleich Farm World Makes It Under The Tree! 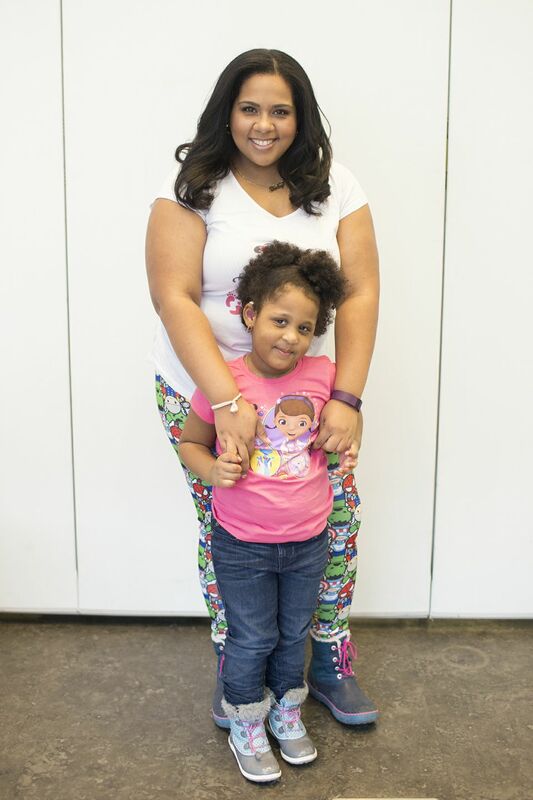 It's LeapFrog Academy for the Educational Win! TOTY 2018 Nominee: Teddy Ruxpin 2017!